Brother John read to us from Ephesians 1:3-6 showing that we were in Christ long before we were dead in sins with Adam. He points out that there is an eternity that exists prior to creation and existence that we cannot even begin to comprehend. And God has and does exist in this eternity. He also points out that this is when God chose us before that time of creation. Brother John also taught us that because of our inherit nature passed down from Adam we were unable to go outside of the nature unless it was acted upon by an outside force. In other words, he shows that we are not in any condition to meet any conditions as pertaining to saving ourselves. But it was the intimate foreknowledge that Paul talks about in Romans 8:28 that God used to predestinate us to be conformed to image of His son. To listen to the audio of the ordination, please click through the links below. Hebron Church is beyond thankful for all the prayers, love and support of all those in attendance and those unable to be with us. On Sunday, Hebron met with a renewed sense of spirit, We met together in worship and were blessed to hear a wonderful message from Elder Ken Still (Shiloh PBC) on walking worthy of the vocation wherewith we have been called. Following this was a message of comfort from Elder Gary Harvey (Point Remove PBC) that even in these times of dissension in this world that GOD HAS A PLAN. After services, we gathered for a photo opportunity as a church body with our new pastor and pastor's wife, While we had a good portion of our church family present, we do recognize that some of our precious brothers and sisters were not with us. We stayed and fellowshipped over an abundance of food and left rejoicing in the Lord. Last Sunday Brother John started a new series on the tenets of what we believe. Some refer to this as the TULIP doctrine. Brother John began with the first letter T representing man's total depravity. We of course see in the book of Genesis 2:15-17 that the first commandment God ever gave was to Adam and Eve to not partake of the fruit of the tree of knowledge and evil with a promise of death. And in Genesis chapter 3:3-4 we see where satan challenges God's commandment. By Adam's disobedience he and Eve did in fact experience a death. They died to God. 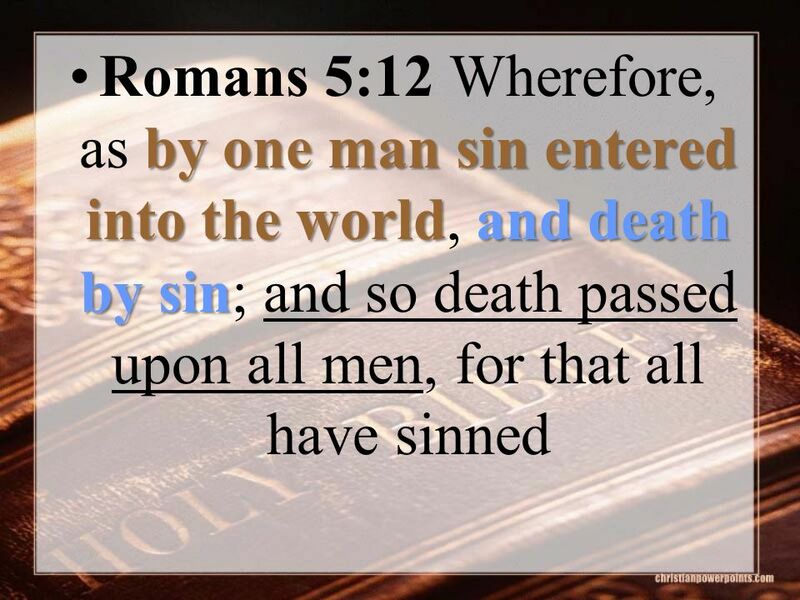 And by one man's act of disobedience, death passed down unto all men for all have sinned. Yesterday, Hebron PBC met together for our First Sunday of the Month fellowship breakfast. As we continue to meet each month, it seems like our fellowship breakfast continues to grow. We are so thankful for the love we share with one another at our church. After breakfast, we met together in song worship and then entered into our prayer service. All who wished to offer public prayer were given opportunity to pray. At the close of our prayer service, we sang a song of praise and practiced the right hand of fellowship with one another. Sister Suzy Davis came forward asking for a home at Hebron stating her love for the brethren and her desire to serve with us. Sister Suzy will be given the right hand of fellowship upon receipt of her letter from her current church. Please be in prayer for our dear pastor as he prepares his mind and his heart this week for his ordination service on Saturday. We invite all who can come and be with us to please join us March 9, 2019, at 9:30am at Hebron Primitive Baptist Church. The definition of Charity according to the Oxford dictionary is: A disposition to judge hopefully of men and there actions and to make allowance for their short comings. Brother John spoke to us today about the final part of 1 Corinthians 13:13, Charity. He pointed out that we often think of charity as love in action, but with the above definition it shows that charity is also an attitude- an attitude of hopeful judgment. And more than just judgment, but an allowance of others' shortcomings. Brother John pointed out that there is a difference in allowance and acceptance. 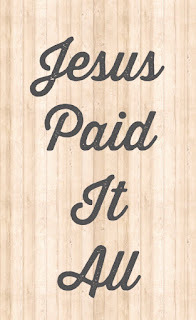 In 2 Peter 1:5-7 Brother John showed the things we are to add to faith with all diligence the last being charity. And having fervent charity will cover a multitude of sins (1 Peter 4:8). In 1 Timothy 1:5 Paul tells Timothy that the end of the commandment is charity with a pure heart. And without this all things are vain. Brother John pointed out that to have a pure heart is not a comfortable thing, just like the trying that happens with gold. Finally Brother John spoke from the beginning of 1 Corinthians 13:1 and all the things that charity is and is not. Again showing that without charity all of our gifts are worthless and of no profit in the kingdom. 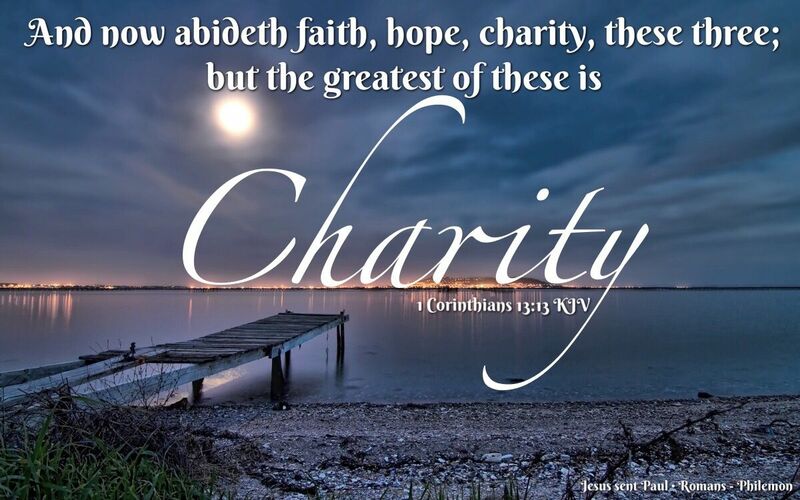 Love (Charity) is the greatest thing this world shall ever know, it fits us for our service here and leads us nearer home, We will have closer fellowship with God when we put on charity with a pure heart here on this earth! Brother John has been speaking to us about the components contained in 1 Corinthians 13:13. Today he focused on Hope. Teaching on different aspects of hope, Brother John showed in the scriptures where it is the resurrection of Christ in which we have hope, (1 Corinthians 15:19) and that there is a salvation in that hope. (Romans 8:24-25). We also learned that Hope brings comfort (a salvation from sorrow) (1 Thesalonians 4:13) and finally Brother John showed us that hope brings forth joy. This was illustrated in Acts 2:25-26/Psalm 16:8. 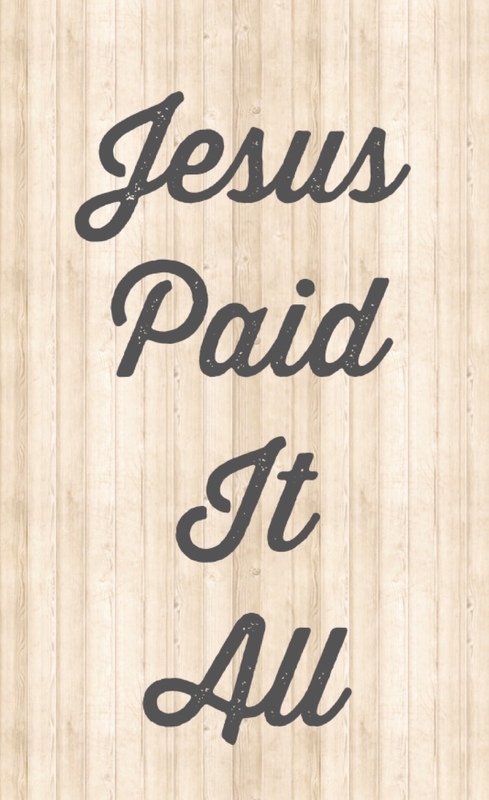 David, somehow knew about the resurrection and his heart was glad, his glory rejoiceth, his flesh shall rest in hope. And as with faith, hope is for this life. We will have no need for this hope in eternal glory- what a blessing that our Father gave us something to look forward to and changed our eternal course from that of eternal damnation to a life with Him.